A great bag, a statement necklace, the perfect pair of heels—none of these "accessories" will get you further in life than a megawatt smile (just ask Julia Roberts). When it comes to getting whiter teeth, you might be surprised at how many options there are available to you, without having to invest in pricey options at the dentist. We're breaking down every popular at-home whitening treatments and how they stack up. We've also enlisted the help of Marc Lowenberg, DDS, an NYC-based cosmetic dentist with Lowenberg, Lituchy & Kantor, to give us his take on how to whiten teeth fast. Lowenberg is no newcomer to creating A-list smiles—Heidi Klum and Courteney Cox are just two of Lowenberg, Lituchy & Kantor's star clients. So when he shared some of his best secrets for whiter teeth, we put down our daily cup(s) of coffee and listened. From a DIY teeth whitener to strips, gels, and more, keep scrolling for five ways to get your teeth sparkling. Whitening strips are one of the most popular teeth-whitening products. With their convenience and relatively low price point compared to professional whitening, their booming popularity doesn't exactly come as a surprise. The strips contain hydrogen peroxide, the active ingredient in getting those pearly whites even brighter. Although prolonged use can cause sensitivity, whitening strips are one of the most effective at-home ways to whiten teeth. Just be sure to check in with your dentist after every six months of use to monitor your teeth's health. 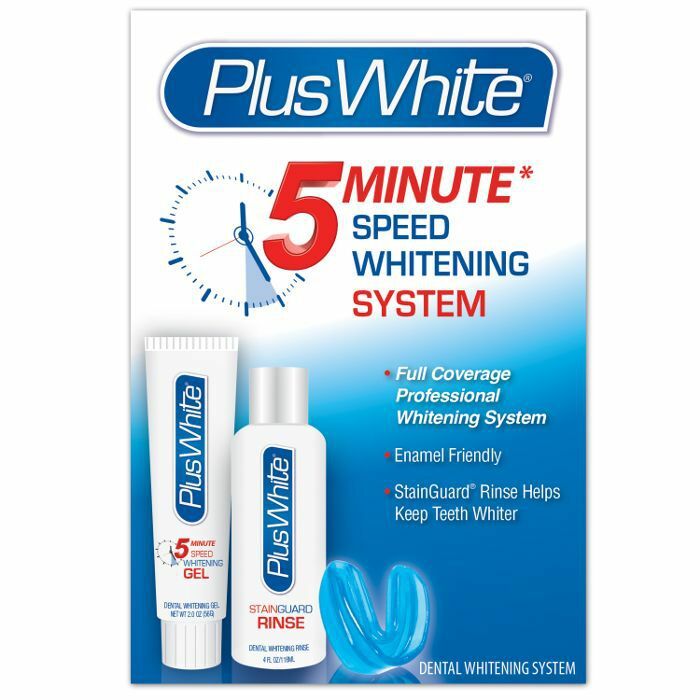 As with any whitening product, if you feel any irritation in your gums, discontinue use. 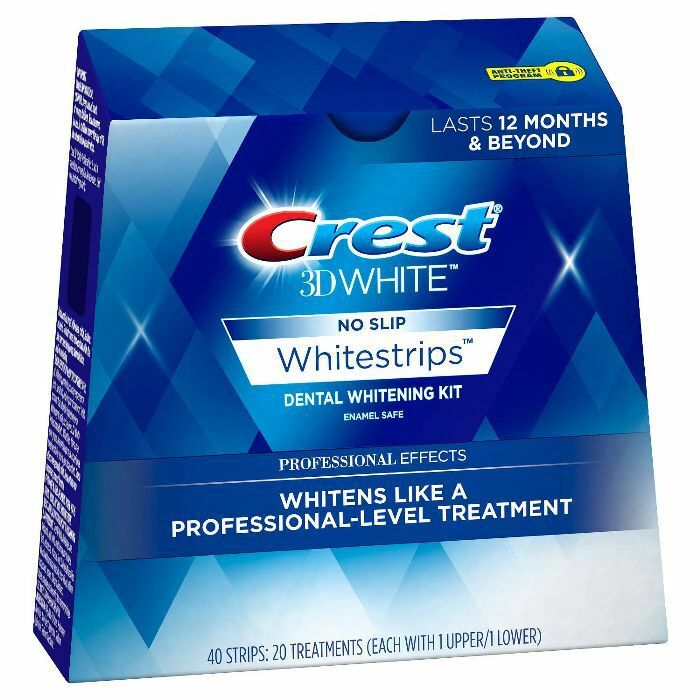 Though Lowenberg recommends Crest Whitestrips as a good at-home whitener, there's another option that's right in your kitchen. 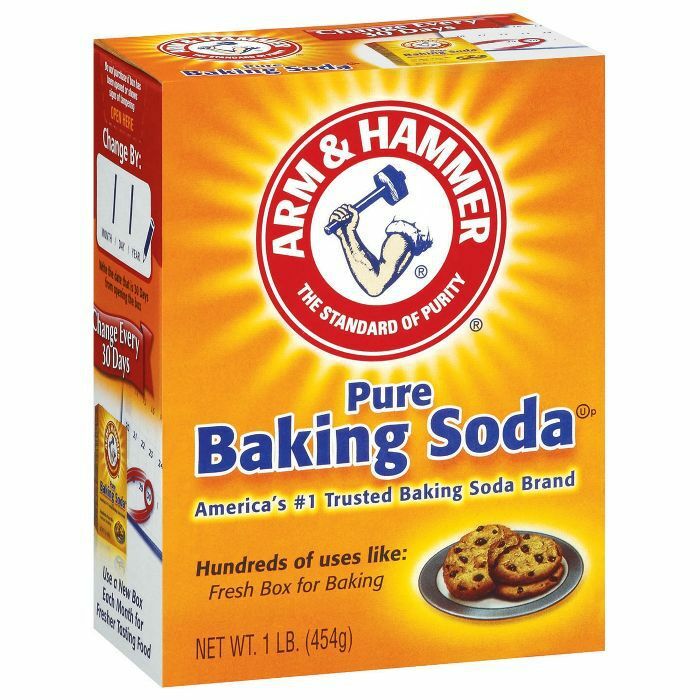 "Mix baking soda and hydrogen peroxide together to form a paste, and then brush your teeth with the mixture to remove surface stains," he says. If this method is too harsh on your gums, you can apply the paste to your teeth, allow it to sit for one to two minutes, and then rinse it away with water. And, of course, don't forget to brush with your everyday toothpaste as usual. Whitening pens work similarly to strips, using an applicator resembling a felt pen to brush peroxide onto the teeth. The mixture will solidify into a film and dissolve after exposure to the tooth. 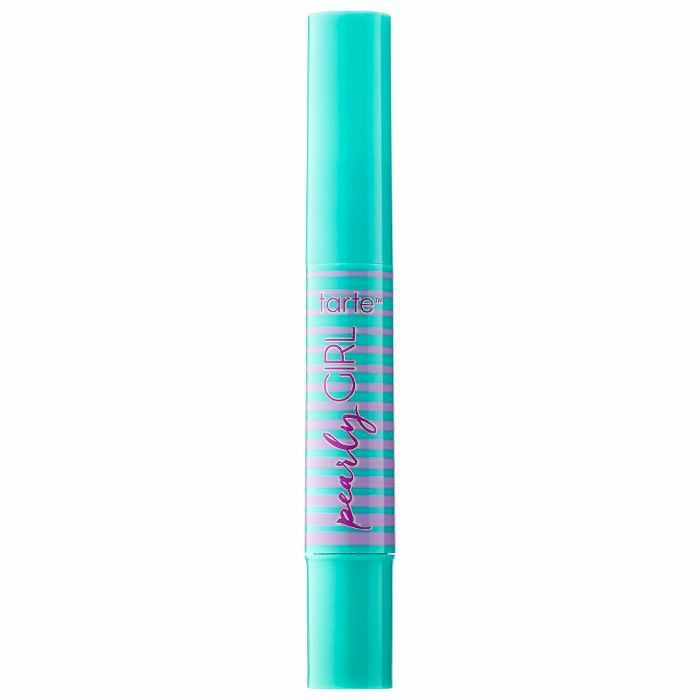 Whitening pens tend to be the most affordable at-home whitening option. The main drawback to this method is how easily the film gets displaced during use compared to other whitening products, since there is no strip or tray to keep the product in place. Available both as an at-home method and professional whitening option, gels and trays work as the same as our other whitening methods: adhering a peroxide mixture directly to teeth for a prolonged period. The whitening gel is put into a heated tray and applied to the teeth, creating a mold. For a customized fit, take-home bleach kits are available through most dentists. These trays are made to fit your teeth exactly and avoid touching the gums, which can cause irritation. A professional gel and tray is a good midpoint between at-home and professional services. The bleaching agent is typically stronger than over-the-counter products, but at a lower price than what you'd expect to pay at your dentist. Between take-home products and professional bleaching are tooth-whitening devices, one of the newest items on the market. Whitening devices work like a gel and tray, using a hydrogen peroxide solution that molds to your teeth with a tray resembling a mouthguard. Whitening devices like Glo Brilliant have a tray that warms and accelerates the adhesion of the peroxide. Like a professional gel and tray, whitening devices are a good option for those seriously looking to whiten teeth without the steep prices. Looking for ways to get a brighter smile at home? Keep reading—these four DIY teeth whitening ingredients are probably sitting in your pantry. This story was originally published on February 3, 2015, and has been updated.